Why can't I see images online? 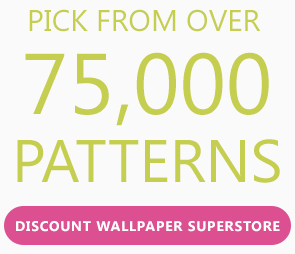 Our product database includes the most popular wallpaper patterns along with their images. However, due to the sheer volume of patterns available (currently there are over 75,000 patterns and colorways from our various vendors), our system might miss a few. Our system works best if you know the vendor and the pattern that you want, and if you are looking for an online source for that pattern. If an image is not available, we recommend you order a swatch prior to placing the order. Our wallpapers are sold by the roll, panel or by the yard. Each vendor might vary in how they package their products. Generally, most American vendors sell wallpapers in single roll but pack in double roll. We price our wallpaper by the double roll in those cases. Please refer to each individual product page to see the measurements of your pattern. Is your wallpaper first quality? Absolutely, we order fabric directly from the manufacturers and all fabric is first quality and authenticity is guaranteed. We are an premium authorized dealer for all the brands listed on our web site. 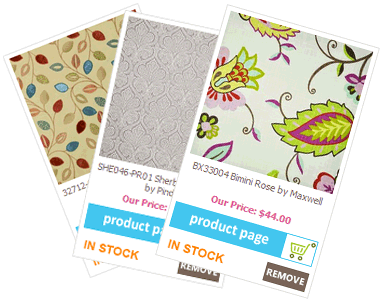 All of our wallpapers are custom-ordered for you and we regret that we are unable to accept returns. We will accept returns due to manufacturer defects or shipping damages only. All returns require a return material authorization (RMA). NO CLAIMS WILL BE ACCEPTED IF THE ROLL IS CUT. Can you get discontinued wallpaper? Our vendors frequently discontinue wallpapers either to make room for new products or if the mill no longer produces the pattern. We regret that we can not offer discontinued patterns. If you know a pattern is discontinued, your best bet is to choose an alternative. What if I can't see the pattern I'm looking for? If you can not locate the pattern needed, either it is discontinued or if the pattern is too new to be listed on your price list. In either case, please email us and we will be more than happy to assist you. We are unable to order discontinued pattern. How do I order sample? We offer memo sample for $7 fee. Each wallpaper will list a swatch option, where you can check out just like any other standard product. Note that samples are randomly cut and dye lots are not guaranteed. All samples ship directly from each brand, usually via US First Class Mail. A return envelope is provided with our swatches for your convenience if you no longer need the sample. This eliminates waste and saves the environment. You are not obligated to return the sample. The memo fee is to cover our administrative cost and is non-refundable. Most stock orders ship within 48-72 hours after receipt of order. If an item is not in stock, we will advise you of the estimate ship date. Memo samples are mailed by first class mail and will take about 7-10 days. Your credit card will be charged when your order processed. For backorders it is charged when the item it ready to ship unless it is a made to order/request item. All Phillip Jeffries, Scalamandre and Innovations are due up front. In some cases other vendors requests full payment up front to bring an item in. In case of standard back orders, we will perform an authorization on your credit card at time of order. The actual charge only applies when the order is ready to ship. We are headquartered in Nevada and are required to collect sales tax for all shipments to Nevada. Currently the NV State base sales tax rate is 6.85%. Our system is set up so orders ship as soon as possible. You may cancel the order if it has not shipped. Generally, it is recommended that you cancel the order ASAP as it often ships the same day. Once the order ships, it can not be returned for other reasons than manufacturer defect. For more information on our return policy, please refer to our return policy. **Clarke & Clarke items cannot be cancelled once the order has been processed. In order to keep our prices low and competitive, we regret that we can not accept returns for other reasons than manufacturer defect or shipping damage. This is because all material is cut to order specifically for you. If you receive a wallpaper that is defective, please email us or call us at 800-497-8042. We will issue a call ticket for the defective item and promptly ship out the replacement wallpaper If stock is not available, you also have the option of getting a full refund.